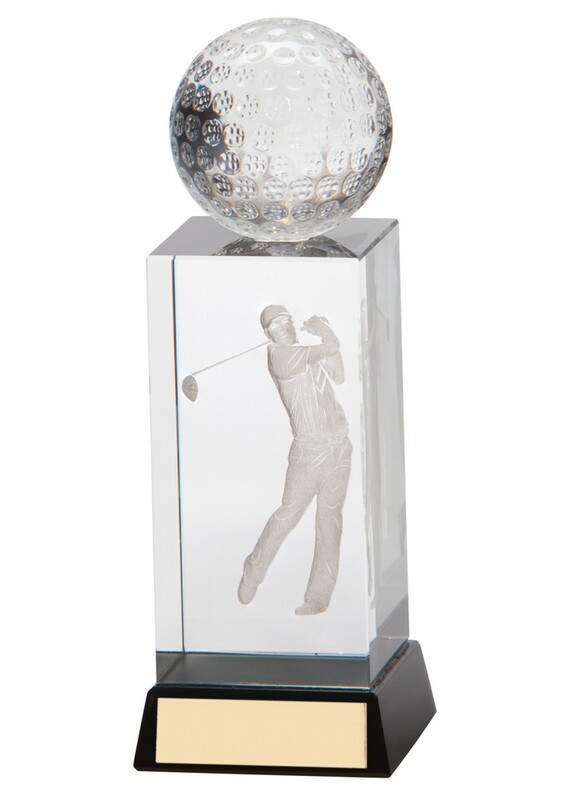 Sterling 3D Crystal Male Golfer Golf Cube Awards. Available in 3 sizes, 130mm, 150mm and 170mm high. Crystal cube with a 3D male golfer lasered within the cube and a solid 3D golf ball on top. Mounted onto a black base.